Deaphalis Sample recently hit several Amazon Best-Seller lists with “The Road to Success” co-authored with Best-Selling author and speaker Jack Canfield. League City, TX. – October 17, 2016 – Deaphalis Sample, recently worked with several leading entrepreneurs and professionals along with Best-Selling Author® Jack Canfield, originator of the Chicken Soup for the Soul® series, to co-write the book The Road to Success. CelebrityPress™, a leading business book publisher, released the book on September 1, 2016. So what route does your roadmap follow? Whatever route you choose, the CelebrityExperts® in this book can mentor your trip. They have completed this trip before, and they know where the potholes and the dead-ends are. These successful people have traits in common including creativity, risk taking, planning, perseverance and they are action-takers. Without taking action, The Road To Success is merely a mirage. So read, learn and enjoy. Safe travels! After such a successful release, The National Academy of Best-Selling Authors™, an organization that honors authors from many of the leading independent best seller lists, will recognize Sample for his contribution. Click HERE to order a copy of The Road to Success. A portion of the royalties earned from The Road to Success will be given to Entrepreneur’s International Foundation, a not for profit organization dedicated to creating unique launch campaigns to raise money and awareness for charitable causes. Deaphalis Sample, the Master of the “One Call Close” brings to the business owner and entrepreneur the practical psychology of closing the sale the first time with his addition to this book The Road to Success with bestselling author Jack Canfield. A must read for the person looking to break away from the traditional follow up in sales for instant gratification. He has helped thousands of individuals and business owners achieve exceptional levels of success in sales. He has also received numerous awards and brings more than 38 years of marketing and sales experience along with him. Deaphalis is a bestselling published author and has been seen on ABC, CBS, NBC, and FOX affiliate networks around the country for his business expertise. His new and upcoming book the 7 Secrets of the One Call Close has catapulted him into the top 1% in the marketing and sales industry. A highly-sought after speaker, Deaphalis speaks to many small business owners, networking groups, churches, community events and non-profit organizations. 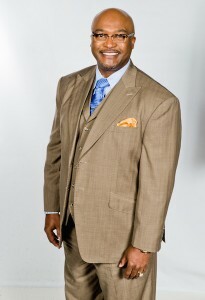 He currently sits on the Board of Advisors Millionaire Mastermind group, and is a part of various organizations like ASTPS (American Society of Tax Problem Solvers), Michael Rozbruch’s Tax and Business Solutions Academy, NAACP (National Association for the Advancement of Colored People), La Porte-Bayshore Chambers of Commerce, and many others including City Mark Church in League City, Texas, Jimmy Evans Pastoral School for Pastors and Leaders certification, and a certified marriage counselor from Marriage On The Rock. Deaphalis and his lovely wife have built a multimillion-dollar tax resolution firm, and he’s coined the phrase: “We’re making a difference and changing lives one person at a time.” In his spare time, he loves spending time with his wife and kids along with helping people by giving them practical tools to use to become successful.